Estate agent flyers are a fantastic way to market your estate agent business. 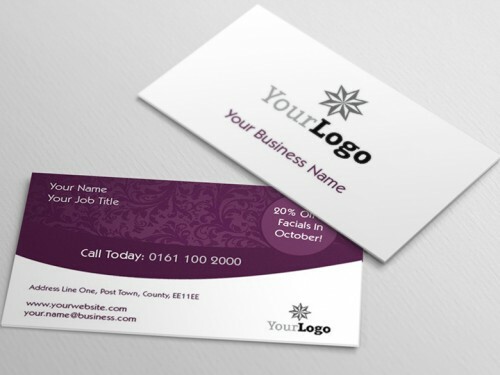 They get your business message across quickly, raising awareness of your brand. Clients have your contact details from the flyer, and they can come to you if they are interested in what you offer. For relatively little cost, you can reach a large section of your market, and you may well see an improvement in sales. If somebody wants to sell their home, or buy a new property, they know from your flyer that you are one of their options. However, your estate agent flyers will only work in this way if you get your message right. A poorly designed flyer filled with mistakes or negative suggestions could do more harm than good. Instead of boosting business, a bad flyer could actively put off the customers and make you seem unprofessional. These top tips will help you come up with a flyer design that gives off the right signals, and has the best chance of converting recipients into clients. You can create beautiful flyers with customisable templates online, and have them printed and sent for a remarkably low cost – with a great chance of creating a return on your marketing investment. The first thing a flyer should do is catch the eye of a potential customer, and quickly inform them of what you are offering. The right image is a crucial part of this. For estate agents, a beautiful home and a ‘for sale’ sign are popular choices, along with the company’s own branding with the name and contact details prominent. A snappy slogan or a special offer are other key elements that can draw a customer’s attention. Make sure you proofread every part of the flyer before you send it to print. Mistakes in the content can seem lazy and unprofessional. A customer may decide that if you can’t check the flyer print properly, you can’t be trusted to pay attention to detail when it comes to property sales. It is also important to ensure that any relevant terms and conditions for offers are included, and that services listed are an accurate representation of what you do. If you are looking for people to buy and sell homes through your estate agency, you want to target areas where people are buying and selling houses. Avoid areas owned by housing associations or filled with renters, as these are not usually your target market. You might even consider targeting streets where your competitors already have signs up – if the street is desirable and properties are selling well, others may start to consider their options. By sending flyers to the right properties, you improve the chance of a return on your marketing efforts.